There are many instances when you may be required to make a presentation. In school, it is usually used to help you learn how to properly select a topic that you can develop into a full presentation, which is an important skill to have in the future. Choosing the correct topic is the most difficult task about making a presentation. It will guide the direction you take in your discussion so you need to put a lot of thought into selecting the best one. Pick a topic from your areas of interest. 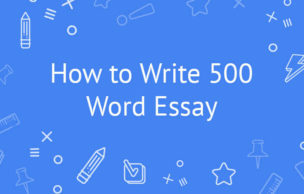 It is easy to write about something you have some knowledge about and you understand with little to no effort at all. It will give you the morale you need to research while allowing you to compile a great presentation comfortably. The topic should be easy to illustrate. Photographs and other graphics make a presentation easy to understand, not forgetting interesting. This is why your topic needs to be illustratable. Let what you love doing or even reading guide you. It will simplify everything for you. Hobbies, holidays and trips make interesting topics to write about. They are easy to illustrate using photos and other images, which makes your presentation more interesting and easy to follow. Always use simple and easy to understand words so as not to confuse your audience. Do a simple research on the topic to see how much information is available. This helps in keeping your presentation objective and knowledge-filled for your listeners or readers. The presentation should grab the attention of the reader. This should be at the back of your mind as you are choosing the most suitable topics. Effects of the internet on students’ ability to study. Should teenage marriages be encouraged or discouraged? Most marketable careers in today’s economy. Formal vs informal jobs. Which are better? Is it right to censor what people post on social media? Presentations help in boosting one's confidence and help you get rid of stage fear. You should be able to engage the audience and have their attention from the beginning to the end. This can only be made possible by finding the best topic that they can relate with and one that you can present with ease. Should marijuana be legalized all over the world? Death penalty: implement it or not? What type of marketing has the best results? Global warming is here: what can be done to reduce its effects? Should immigration laws be banned to allow in immigrants who really need help? Effects of globalization in the world. Are they good or bad? Is fast food the main cause of obesity? Juvenile prisons: should they be done away with? Should paddling be reintroduced to curb indiscipline and improve performance in school? Too much freedom of the press? At which point does it go overboard? The sentence for animal cruelty should be life imprisonment. Are there different love "languages" for different genders? Extensions vs natural hair. Which is better and why? Is there anything like too much plastic surgery? Should men help around with the chores in the home? Is the government directly involved with high inflation rates? Hybrid vs manual cars- which are better? Should sports be made optional in schools? Importance of organ donation after death. Should it be encouraged? Are support groups effective in helping the patients handle their problems? Should surrogate mothers be allowed contact with the children they gave birth to? Is a robot revolution possible in the coming years? Should gay marriages be abolished worldwide? How best to dispose old and non-functional electronics without affecting the environment. Is technology a blessing or a curse in disguise? Smoking in public places: good or bad? Is herbal medicine more effective in treating diseases? Why the world needs to change its view on body standards and goals. Should GMO be used in an aim to combat food insecurity especially in third world countries? Growth in population: is it a good or bad thing for the world. Should all states recognize common law? Are the paparazzi an essential part of the world or simply privacy invaders. IQ examinations are not a perfect measure of human intelligence. Should education be made completely free in all public institutions? Should polygamy and polyandry be legalized all over the world? Are athletes paid too much money? Are anti-doping laws too strict? All school cafeteria menus should be revised to contain only healthy meals. Are ulcers really caused by stress? Make recycling a must to save the environment. Does home schooling your children make them less socially capable? Should elders above the age of 70 be allowed to drive alone? Rules of dating within the office place. Does meat expose one to diseases? Should a patient be treated without health insurance? Should plastic bags be completely abolished to save the environment? Is makeup a good thing or an evil one? Should education be standardized all over the world? Best practices in food preservation. Preferred topic for the presentation. You get enough time to handle your other assignments leaving the presentation to professional writers. You can be sure that you will get high quality, error free content that will gram and retain the attention of your audience. If you are finding it difficult to choose the perfect topic, you can give the writer a list of your best ones and leave it to them to choose. It is affordable and less cumbersome than having to take care of it yourself. You will get your paper on time regardless of time differences as long as you had stipulated the deadline in your order. It is easy to make the order and you don’t have to worry about anything else after that. 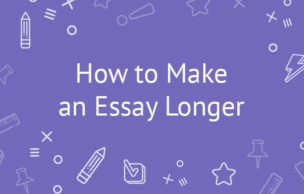 When you feel that you are out of ideas, you can always use our essay writing service, which is dedicated to ensuring that you get the best presentation possible. Impressing your audience is definitely not an easy task, so you need the help of professionals to thoroughly proofread and edit any errors and to fine tune your presentation to perfection. Investing in your presentation is probably the best thing you can do, since your professional image is at stake - no matter if you are a student, an employee or an employer. Make sure you dedicate your attention to improving it as much as possible and we do hope our tips in this article will help you deliver an impactful presentation.